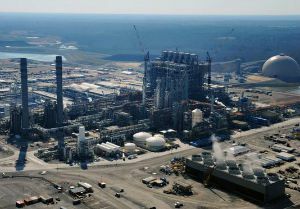 A candidate for Southern District public service commissioner and a longtime challenger to Mississippi Power Co.’s Kemper County coal plant has asked the Mississippi Supreme Court to halt the latest rate increases regulators approved for the facility. opinion that invalidated a prior hike. The court also ordered the revenue from that increase be refunded. The utility, through the use of Construction Work in Progress funds, was allowed to recover $125 million via increased power bills in 2013, and $156 million in 2014. Rates jumped 15 percent in 2013, and another 3 percent in 2014. The court ordered PSC to mandate Mississippi Power refund that money. Justices also ordered the PSC to provide notice to Mississippi Power ratepayers before any proceedings in which rate increases were on the agenda. “The increased rates on 186,000 South Mississippi ratepayers fail to comport with the (Base Load) Act or, otherwise, with our law,” presiding justice Mike Randolph wrote in the majority opinion. The refunds will arrive via bill credits, unless a ratepayer requests a check. All the money should be returned by early December. That decision arose from a lawsuit Blanton initiated. Blanton challenged the use of construction work in progress funds, which help pay for electric generation facilities as they are being built. The mechanism was part of the Base Load Act lawmakers passed and former Gov. Haley Barbour signed in 2008. Blanton’s latest argument is similar. It claims the new rate increase, which took effect Aug. 20, uses the same mechanism the court invalidated.